THIS 2019 PRIMAVERA LIMITED EDITION YACHT CLUB VERSION JUST ARRIVED AND IT IS AMAZINGLY COOL! 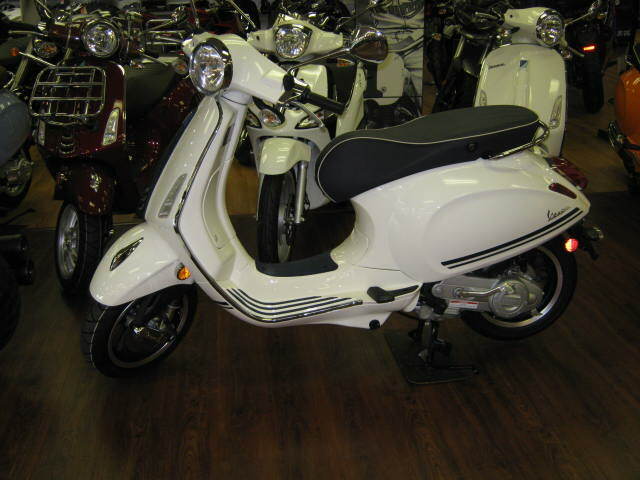 CLASSIC OLD-SCHOOL WHITE COMBINES WITH NAUTICAL TOUCHES THROUGHOUT – THIS SCOOTER IS A VERY MODERN VERSION OF A WORLDWIDE CLASSIC. The all-new Sprint takes the best of Vespa’s from the past and combines it all into a more modern classic. 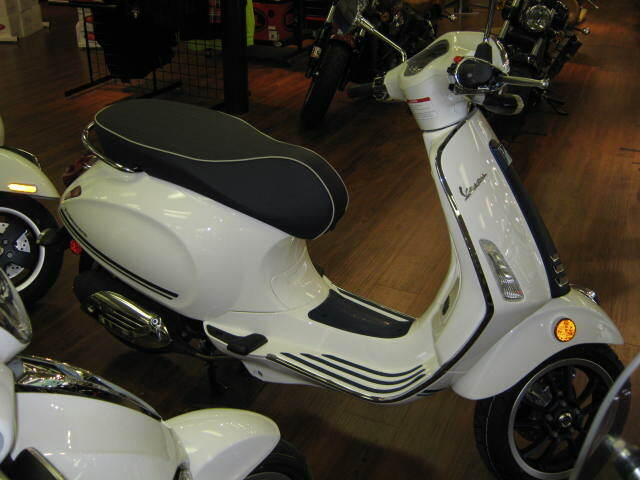 New dash, new sculpted body work, updated lights and all powered by Vespa’s lively 49cc 4-Valve, 4-stroke engine. Electronic starts make starting your new Vespa easier than ever. The new 4-valve engine makes it more powerful than ever. So stop in and see what the latest and greatest from the world’s best scooter company is all about.